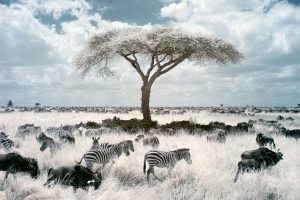 Khromagery’s work covers many areas, as an umbrella for David Burren Photography and LuminOdyssey Photo Expeditions. The menu at the top of these pages is the key to navigating this site. David is a professional photographer based in Melbourne, Victoria, Australia. 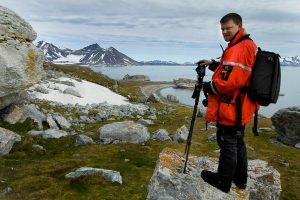 His commercial photography work has covered travel, landscapes, wildlife, food and wine studio work, and even corporate portraits. Some of his catalogue of existing work can be seen in the galleries on this site. We run various photography workshops and expeditions. From 2-day workshops in Victoria, to month-long expeditions to South America and Antarctica. Previous destinations have included Antarctica, South America, Africa, and the Arctic. Some led by David, some also with additional instructors for the larger groups. Check out the LuminOdyssey pages for more details including announcements of our 2016 and 2017 workshops! We have supplied data projectors and configured existing projectors for many local photographers and camera clubs. This usually involves setting up colour calibration. David’s Projecting Photos eBook is useful background reading! We also provide colour profiling of printers and displays as part of our general consulting services, along with doing custom fine-art photographic printing for several local photographers. David regularly provides training in effective use of photographic equipment, to both individuals and groups. As well as general photographic skills, David has particular expertise in telephoto wildlife photography. David is an Adobe Certified Expert in Lightroom. He has trained many photographers in organising their digital workflows, usually involving Lightroom and Photoshop solutions. Our own systems are all running OS X, although many of our clients are running Windows systems. From 2006 til 2010 Khromagery offered a camera modification service, converting many digital cameras to infrared operation. We still use modified cameras ourselves and help clients with IR projects, but no longer provide a conversion service. Incidentally, our recommendations regarding processing of IR RAW files are still relevant today even though they date from 2009. We usually have many other projects on the go: the above are just highlights. David provides photo critiques to many individuals and groups around Victoria, and regularly gives presentations on many topics to camera clubs and others. If you would like David to speak to your group, provide customised training, etc. please contact us. David’s work has been awarded Gold in the annual AIPP Australian Professional Photography Awards. His images have been exhibited in ANZANG multiple times, including having been both a category winner and a runner-up in multiple categories. In 2015 David was a finalist in the NHM Wildlife Photographer of the Year awards. 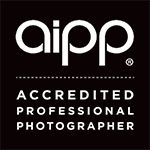 David is a Master of Photography through the AIPP, and a Fellow of the Australian Photographic Society.